The growing role of the U.S. as a major energy producer is changing the dynamic of the energy market. U.S. oil production continues to accelerate at a surprising rate, and the government now predicts the U.S. industry could pump 14 percent more oil this year alone. The use of non conventional drilling techniques in places like North Dakota and Texas has created an explosion in U.S. production to the point where the U.S. is expected to surpass Saudi Arabia in crude production by 2020, according to U.S. government statistics. At the same time, the industry is developing more pipeline capacity to carry landlocked U.S. crude from storage in Cushing, Okla. to the Gulf Coast refining areas. That should continue to drive the trend, create more refined product for the U.S. and export markets, and bring down some oil prices in the next several years, according to the Energy Information Administration. In the next few days, a significant pipeline expansion is coming on line as the Seaway pipeline adds 250,000 barrels a day in capacity from Cushing to its current 150,000 barrels. In anticipation, the market has compressed the spread between U.S.-produced West Texas Intermediate and the international bench mark Brent crude, to below $18, the narrowest level since September. 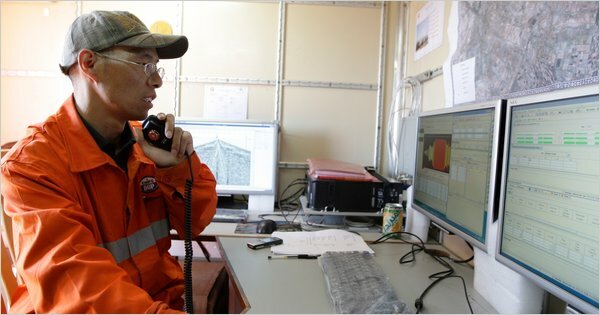 “There’s high hopes for what this Seaway pipeline will do for the WTI market, and that spread. There’s a lot of expectations around that right now,” said John Kilduff of Again Capital. The energy market has been trading these macro trends, and on Wednesday traders will also have their eyes on the 10:30 a.m. ET EIA release of weekly oil and refined product inventory data. 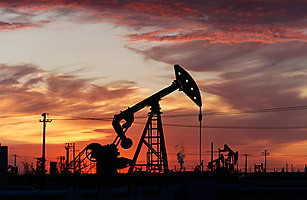 The American Petroleum Institute inventory data, released Tuesday afternoon, showed a surprise build in crude of 2.36 million barrels and a very large jump in gasoline stockpiles to 7.93 million barrels. “It was extremely bearish tonight. If the EIA comes in with a build like that tomorrow, it could break the back of the recent crude rally and we could see gasoline prices flirt with $3 on a national average in coming weeks,” Kilduff said. The EIA also released its short-term outlook Tuesday, which included raised expectations for 2013 and its first forecast for 2014. It said U.S. oil production, already at a 15-year high, is now expected to rise to 7.3 million barrels per day in 2013. That’s 300,000 more than its December forecast, and 900,000 barrels per day more than what was produced in 2012. It also expects 2014 production to increase to 7.9 million barrels, the highest since 1988. That is up from a low of 5 million barrels in 2008. The result could be lower prices. The EIA forecasts Brent could fall to $105 next year, and to $99 in 2014, from its 2012 average of $112. 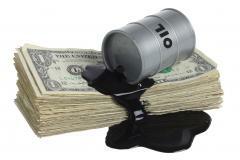 It expects WTI to trade an average $89.54 in 2013, and $91 in 2014. The spread between WTI, trading at about $93 Tuesday, and Brent, trading at $111.82 Tuesday, should continue to narrow to $16 in 2013, and to $8 in 2014. “We were having trouble getting oil to market because of that bottleneck in Cushing, and that’s one of the things that the pipeline is supposed to help,” said Gene McGillian, analyst with Tradition Energy. McGillian said the oil market also has its eye on Washington, and trading has been more volatile as a result. “The idea that the spending cuts and the debt ceiling weren’t dealt with keeps the market focused on economic issues,” he said. Andrew Lipow, president of Lipow Oil Associates, said Seaway is the first of several pipelines that will change the flow of oil. “By the end of the first quarter, we expect pipelines form Magellan LP and Sunoco Logistics to be on line,” said Lipow. “By the end of 2013, we should have the Keystone XL Southern leg in service from Cushing to the Gulf Coast. The flood of new oil coming to the Gulf Coast could compete with Louisiana Light Crude, used in refining, and priced closer to Brent, said Kilduff. “The question is whether the impact of all this crude coming into the Gulf Coast, is it going to be enough to top over demand for Brent? Will it be a tipping point?” said Kilduff. “The way these numbers keep going up and up, it seems like it could.” Kilduff said that would depend on how the impact of the Midwest crude filters through to the east coast, since the east coast refineries have run on oil based on Brent prices. “The question is whether WTI rises to the Brent price, or Brent falls down toward the WTI price,” said Kilduff. “Right now, it appears the WTI is rising toward the Brent. The focus now is on what this pipeline is going to do to drain the bottleneck in Cushing.” Brent has historically traded below WTI, but in the last several years it’s been at a premium because of Middle East tensions, declining production in the North Sea, production disruptions in Africa and mostly the bottleneck in Cushing. Kilduff added that the Saudis have also increased supplies to their jointly owned Motiva refinery in Texas, and that supply will also hit the Gulf Coast market. “My expectation is that the Brent spread will get to $10,” said Lipow. “My expectation is that we will export a record amount of petroleum product in 2013 because petroleum product demand in the U.S. is relatively stagnant and we are going to process more crude as refiners in the Gulf Coast have raw material and operating cost advantages.” The U.S. became a net exporter of refined products in 2011 for the first time since 1949. Lipow said the U.S. refineries are running at historically high levels for this time of year, and he thinks pump prices, could fall to a low this year of $3.10 per gallon. According to AAA, the national average is $3.30 per gallon for unleaded regular gasoline, up slightly from $3.29 a week ago, but down from $3.47 a month ago. His expectation is that the year high will be $3.70. In a North Dakota oil boomtown, there’s one job market that never goes bust: Stripping. A pair of strip clubs in Williston, N.D., are drawing exotic dancers who can earn up to $2,000 a night thanks to the influx of well-paid oil workers in the remote region, CNN Money reported. “My best girls would rather dance here than in Vegas, because they make more money here,” boasted Melissa Slapnicka, co-owner of the club Whispers. Slapnicka, who says aspiring strippers from Alaska, Germany and the Czech Republic have applied for work at her club, said the patrons are quick to spread their oil money around. The co-owner/bartender says her tips – once $50 a night – are now more like $200 each evening. And it’s even better for the talent. One stripper told CNN that she was making more in a single night than she could earn in a week on the Las Vegas strip. The oil workers are making big bucks, and have few options in spending their cash. Many of the customers at Whispers and nearby Heartbreakers are married men who chased the oil money to North Dakota – and left their families at home. “They’re just here for a little company, because they’re lonely,” the stripper told CNN Money. “Other places, (men) wait until Friday because it’s payday. Standing in front of a stopped truck in the desert, two workers in red overalls are pumping water out of an oil slick before installing a new derrick. The landscape is moonlike. Off on the horizon is the city of Karamay, a bona fide boomtown in northwestern China that has multiplied in only a few short years. “Here everyone works either directly for oil, or in a service connected to it,” one of the workers says. Eight or 10 years ago, Karamay, at the heart of the autonomous region of Xinjiang, was a faceless stop on the road to nowhere. Now, it is difficult to find a bank, hotel, or bus that doesn’t bear the Petrochina logo. The company’s local headquarters lies proudly at the entrance of the city, and is taller than that of the Communist Party. Between 85% and 90% of the city’s economy is directly linked to black gold. The growth in Chinese energy consumption has accelerated the movement. On May 12 the economic planning body of the government announced the suspension of Chinese diesel exports and the “strict control” of foreign sales of other refined petroleum products. The National Commission for Development and Reform called on the three large Chinese producers (Petrochina, Sinopec, and China National Oil Offshore Company) to “ensure full operational capacity,” in order to “maintain social stability and support economic growth,” just as the price of a barrel of oil had reached 100 dollars. In 1993, China became a net importer of oil, but the country continues to export refined petroleum products to Vietnam, Japan, and Singapore, as well as some Western countries. This appetite is noticed in the “city of black oil,” where oil rigs are pumping as far as the eye can see. In February, Petrochina announced an increase in production for the Karamay oil field, which in just two months has gone from 25,870 tons to 29,000 tons per day. The most important oil field in the west of the country produced nearly 11 million tons of crude oil last year. In 2011, Petrochina began the exploitation of local oil reserves of heavy crude, whose density makes transporting and refining it more expensive. The reserves found in Xinjiang explain, in part, Beijing’s interest in the region, where ethnic tensions between the migrant Hans and Uighurs are lively and even led to bloody riots in Urumqi (the capital of Xinjiang) in July 2009. In Karamay, the equation is simpler because three-fourths of the population are migrant Hans, recruited by Petrochina. The Uighurs say they can be hired only if they can speak Mandarin Chinese. Nevertheless, the two communities rarely mix. Professor Gou Haitao, a researcher at the Chinese University of Petroleum, explains that Xinjiang is crucial for the energy strategy of the country. A pipeline connects the region to Kazakhstan before the imported oil from Central Asia and the oil produced in Xinjiang are delivered to the coastal industrial provinces of the East. Closest to these dynamic coastal zones, the oil fields of the northeast are emptying. In March, Beijing adopted a new five-year plan that will guide its strategic choices until 2016, anticipating a reduction of its historical dependence on carbon, which [currently] supplies two thirds of its energy needs, by relying more on renewable energy. It also predicts new investments in oil, notably in inner Mongolia and of course here in Xinjiang. Oil samples were found as having high quality. The new estimate, along with the gas and oil finds off the Mediterranean Coast, raise the likelihood that Israel will be self-sufficient for energy for the next three decades and even become an exporter of gas. The amount of oil at Rosh HaAyin represents a tiny percentage of Israel’s oil consumption, but development is continuing in the area as well as in the Dead Sea. Economists have noted that the discoveries will have a huge impact on society, creating more jobs and strengthening the shekel against word currencies. Previous reports estimated that daily production could reach 382 barrels a day. The latest company statement said it is will not be known before next month the new estimated production rate, but it should reach at least 450 barrels a day. As fossil fuel supplies are stretched thinner, risks similar to the British Petroleum oil spill will increase, according to a new report from Lloyd’s and a U.K. think tank that urges businesses to rethink their approach to energy. The report, “Sustainable Energy Security: Strategic Risks and Opportunities for Business,” by Lloyd’s 360 Risk Insight and U.K. think tank Chatham House, found that reliance on fossil fuels is pushing the search for reserves into more difficult and risky territories. Declining production from easily accessed oil reserves combined with rising demand from developing economies can result in events such as the current Deepwater Horizon Oil Platform spill in the Gulf of Mexico, the report said, adding that the BP spill could push the transition to more cost-efficient clean and renewable energy systems. The study predicts that price spikes and supply disruptions will become more frequent due to rising consumption, insufficient investment, and threats to installations and transport. These factors, the report notes, combined with political pressure to reduce greenhouse gases and protect our environment, will force businesses to be more efficient consumers of energy and adopt clean and renewable technology. The expected level of investment in renewables and clean energy—up to $500 billion per year by 2050—holds tremendous opportunities for businesses, but the lack of global agreement on carbon reduction is inhibiting commitment and investments, the report states. Ultimately, this will make catching up or adapting to energy shortages much more expensive for all, it notes. The report calls on governments to set clear policies and create certainty in the transition to a low carbon economy. The study also warns that preparations must be made for a new set of risks as our energy system changes. Many renewable technology systems, for example, use rare materials, and the increasing reliance on electricity and IT could raise vulnerability to cyber attacks, according to the report. The report advises businesses to reassess global supply chains and increase the resilience of their operations. VENICE, La. – In the weeks after an oil rig exploded and killed 11 men in the Gulf of Mexico, worried environmental groups scoured the water for oil plumes, set up animal triage centers and stretched boom across shorelines. Activists hope their involvement doesn’t end there; maybe, they contend, this is the catalyst that America’s green movement needs. Will Americans be horrified enough by the news to pump less gasoline, buy hybrids and downsize their consumer lifestyle? But asking Americans to pay attention is easier if there are dramatic photos and videos tugging at heartstrings. So far, there have been few such images in this disaster. Though more than 4 million gallons have been spilled in the three weeks since the explosion, slow-moving currents in the Gulf have kept the thickest oil offshore and away from coastal wildlife. That hasn’t stopped environmental activists from trying to publicize how much the spill will affect the region. Ten days after the rig explosion, Schweiger and a team of National Wildlife Federation staff had rented a condo in Venice, a small Louisiana fishing village 70 miles south of New Orleans that has become a staging area of sorts. Guys with GREENPEACE T-shirts mixed on docks with charter boat captains and international media. Leilani Munter, an IndyCar racer and environmental activist who blogs under the name “carbonfreegirl,” was there, taking video of the effect on local fishermen. Last week, Sierra Club Executive Director Michael Brune flew over the Gulf in a seaplane to survey the damage. He saw waves of rust-colored oil undulating through the blue water, toward sensitive bird habitat. It’s been relatively easy for environmental groups to detail the spill’s human toll. Eleven men on the oil rig were killed. Thousands of fishermen on the coast of Louisiana, Mississippi, Alabama and Florida are no longer making money now that the federal government has shut down commercial fishing in a big chunk of Gulf waters. It’s been a little more difficult to explain to the American public how the spill is affecting the environment — or why people should change their habits to help the situation. Only a few birds have been brought in to cleaning centers, and while several dozen turtles and a few dolphins have washed up — none with visible oil — scientists aren’t so sure that has anything to do with the spill. Photos and videos of brown, pudding-like oil in the water near the well far out to sea don’t have the same impact that it would if and when such sludge makes it to beaches in big quantities. It was images of another oil spill — a massive gusher off the coast of Santa Barbara in California in 1969 — that spearheaded the modern environmental movement and galvanized people to create the first Earth Day in 1970. That spill coated miles of California coast and killed dolphins and seals. Among the conservation groups formed at the time were the Environmental Defense Center and Get Oil Out!, an anti-drilling group whose founder urged the public to cut down on driving, burn gas credit cards and boycott companies associated with offshore drilling. Yet after the Exxon Valdez spill in 1989, environmentalists were hoping it would change both public policy, opinion and behavior. Steiner thinks this Gulf spill could “become like Chernobyl or Three Mile Island or Bhopal” — a moment where people, and politics transform. It could change if more photos and pictures of oiled animals emerge. “People have a deep connection to the wildlife and the beauty of the wildlife, and when they see those pictures of the birds, the turtles, the things that are harmed, there’s a gut emotional reaction,” said Marylee Orr, executive director of Lower Mississippi Riverkeeper, a Louisiana-based advocacy group. Advocates acknowledge there is a disconnect between consumer behavior — and the dependence on oil — and what is happening now in the Gulf.